If you are wondering where 2014 go, we have created a list of call center news that matters for the current year. A good number of mergers and acquisitions of different companies, call center awards and other call center related news have been compiled. See our list below. Number 10. Australian Call Center Acquire BPO acquired PH BPO Company Shore Solutions. Melbourne, based Acquire BPO completes the acquisition of Shore Solutions the fastest growing Philippine based BPO adding an estimated 2,000 employees to Acquire. According to Scott Stavretis CEO of Acquire and Shore Solutions the acquisition of Shore offers several exciting opportunities for Acquire in diversifying their current service offering and bolstering the company’s revenue. Concentrix will pay $505 million to IBM for acquiring its worldwide customer care services business. With this acquisition Concentrix will solidify its position as a Top 10 provider in the BPO Market. Concentrix has three existing delivery centers in Manila, Cagayan de Oro, and Davao City. Concentrix will be operating an additional 6 delivery centers previously under IBM management. These centers are located in Naga City, UP-Ayala, Nuvali in Sta. Rosa, Eastwood, Makati and Ortigas. 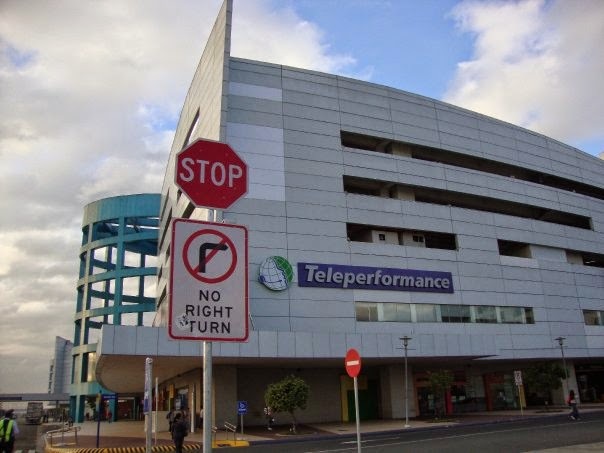 Teleperformance, the global leader in outsourced multichannel customer experience management, has completed the acquisition of Aegis USA Inc., a major outsourcing and technology company in the United States, the Philippines and Costa Rica for $610 million dollars. After the transaction, Aegis said it will still retain the rest of its BPO business in India, Sri Lanka, Malaysia, Australia, South Africa, Peru, Argentina, Saudi Arabia and UK with more than 37,000 employees. Convergys Corporation (NYSE: CVG) and Stream Global Services, Inc., both premier providers of customer management services, today announced entry into a definitive merger agreement under which Convergys will acquire Stream for a total enterprise value of $820 million in cash, subject to certain adjustments, from funds managed by Ares Management and Providence Equity Partners, as well as from LiveIt, the BPO investment arm of Ayala Corp.
"The International ICT Awards Philippines was launched in 2007 by the Canadian Chamber of Commerce of the Philippines (CanCham) in close cooperation with the then BPAP (now IBPAP). All of the subsequent International ICT Awards Philippines events have been and continue to be organized by CanCham in association with IBPAP." Runner-up: Cognizant Technology Solutions Philippines, Inc.
Runner-up: i-Tech Global Business Solutions, Inc. Winner: Maersk Global Services Centers (Phils.) Ltd.
Runner-up: Maersk Global Services Centers (Phils.) Ltd.
Training magazine the 50 year old professional and development magazine has released its Training Top 125 for 2014. Training Top 125 is a worldwide ranking of companies or organizations that shines in training and development of individuals. Since Training Top 125 awards global companies, we decided to gather BPO and In-House companies that have branches or subsidiary in the Philippines. Here’s the list. 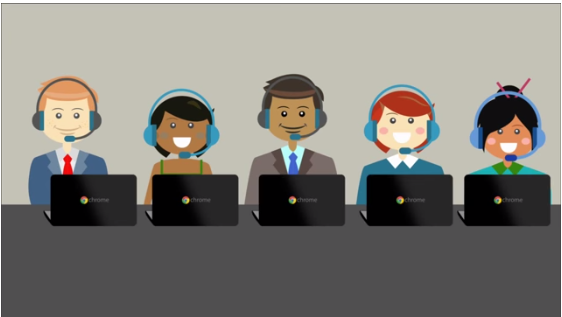 Avaya and Google are proud to announce Avaya Agent for Chrome, a Chromebook application designed for flexible contact centers. It would be great if this would be implemented here in the Philippines because based on the Youtube video the disaster recovery plan feature could benefit us since it can route calls to another location in times of storm and other natural disasters. 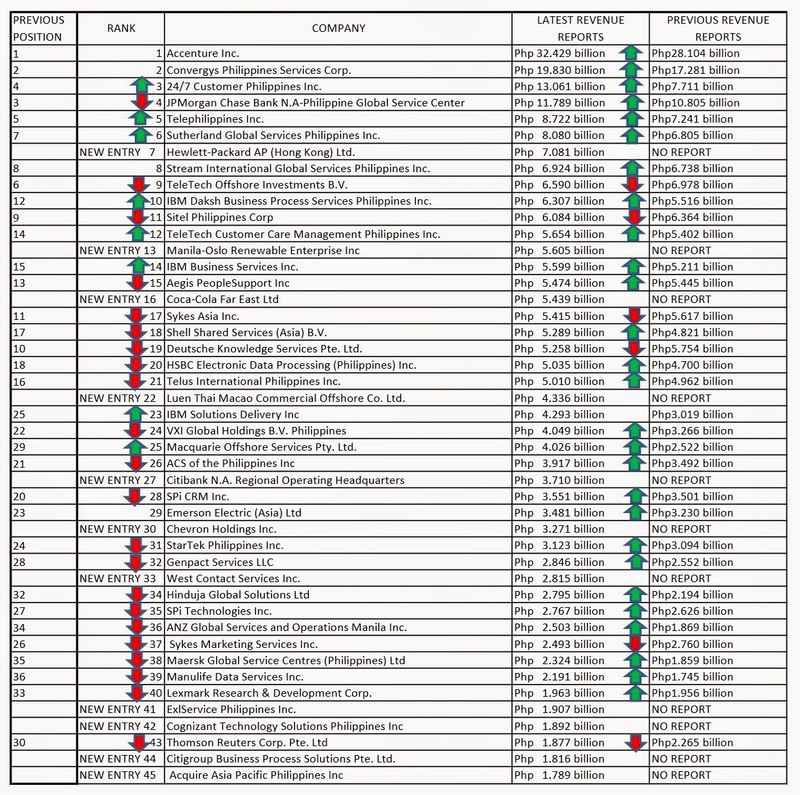 It all began from a simple monitoring of Facebook post of call center employees, from initial list of 10 companies the list have grown to 50 companies. With your help and through the emails that we received from employees of various call center companies, we were able to see how each company ensures the safety of its employees during unsafe situations. Click on the link below to see our list. Call center agent shot dead, stabbed to death, suicide, a TL who drowned during a team building event. Those were the sad news that involved call center employees. The best one that I have read for this year is about a call center agent who took his last call. I consider my self lucky if I have not received any irate callers in a shift or if avail time is higher than 30 minutes however, there's a call center agent that took his last call and said goodbye to irate callers after winning the lottery. The said call center agent from Davao del Norte was the lone winner of 6/55 draw taking home Php 70,166,400. So if you are from Davao and you have a colleague who suddenly went on NCNS then AWOL, there might be a chance that he's the guy who one the lottery. The Top 45 Call Center or BPO companies based on revenue has been revealed, the numbers will not make a big impact if we did not compare it to last year's top 36 call center companies. Check our comparison below. After the acquisition of Stream, Convergys will now have a total revenue of Php 26.911 billion however, the combined revenue still fall short compared to Accenture’s Php 32.429 billion. Combining the revenues of Telephilippines and Aegis will result to Php 14.196 which is enough to make it to 3rd spot while 24/7 will slide to 4th. Thomson Reuters Corp Pte. Ltd’s position has slid down by 13 points in terms of position same as its revenue which shed Php .388 billion. We are hearing stories that by February, Thomson Reuters Corp Pte Ltd will outsource some of its service desk roles to a third party provider which could affect hundreds of employees. So which story / news do you like the best lets head on to the comments section to discuss. For item #5: Verizon, which has in-house operations in the Philippines (Alabang), was inducted into the Training Mag Top 10 Hall of Fame for 2014 after being ranked #1 in 2012 & 2013, #3 in 2011, and #4 in 2010. This is why they were not on the 2014 Top 125 list. I would encourage the writer to add this point for item #5 as it is an incredible accomplishment as only 12 total companies are in Training Mag's Top 10 Hall of Fame. Hi Thank you very much for pointing that out. We have added Verizon.